VIZ Media continues to deliver spring reading excitement, drama and adventure as the company announces brand new digital manga updates for May. This month fans and readers can catch the launch of three notable new series and releases. NARUTO: SAKURA’S STORY, the third book in a series of original novels, depicts the story of Sakura Haruno, a faithful and skilled member of Naruto’s team. The shojo drama depicting the romance between a turn-of-the-century heiress and her servant unfolds in THE HEIRESS AND THE CHAUFFEUR while the martial arts action of the classic DRAGON BALL returns in a vivid new way with the release of the DRAGON BALL FULL COLOR FREEZA ARC. All three new titles are now available. Fans won’t want to miss today’s issue of WEEKLY SHONEN JUMP, which will feature the first chapter of a brand new BORUTO manga series. 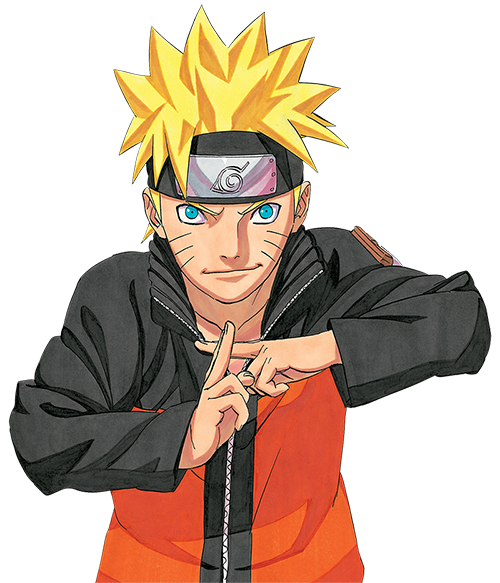 The new series will be supervised by the creator of NARUTO, Masashi Kishimoto, and written and illustrated by those deeply involved in the NARUTO universe. New chapters of this series, which follows the adventures of Naruto's son, will be available each month on the same day they come out in Japan! Visit http://shonenjump.viz.com/ for more information and access to WEEKLY SHONEN JUMP content. This summer, VIZ Media celebrates the 30th Anniversary of the founding of the company. As a prelude to the many consumer promotions that will be offered throughout the summer to commemorate this important milestone, VIZ Media unveils a special 30th Anniversary Flash Manga Sale. The sale will celebrate titles from VIZ Media’s classic collections and introduce readers to the next generation! Set to launch this month the Anniversary Flash Manga Sale offers discounts on select titles. The ongoing weekly flash sales will offer manga titles that will be categorized and offered under a variety of themes, which will be announced throughout the month. DIGITAL MSRP: $6.99 (U.S. / CAN)· Now Available! Sayaka wears a crimson ribbon that signals she is at the top of her class, and her classmates all revere her. So when Narutaki ignores decorum and breaks school rules to protect Sayaka, will she stand by him or dismiss him as the school demands? DIGITAL MSRP: $12.99 (U.S. / CAN)· Now Available! After his epic battle with Vegeta, Son Goku and his friends must obtain the wish-granting Dragon Balls in order to resurrect their fallen allies! Their search will take them all the way to the planet Namek, where the evil Freeza and his minions are slaughtering the Namekians in order to fulfill Freeza’s wish for immortality. What will it take to defeat this great evil? DIGITAL MSRP: $6.99 (U.S. / CAN)·Now Available! The Great Ninja War did not only harm adults, but left many damaged children behind. Medical ninja Sakura travels the land, opening clinics dedicated to healing children of the mental trauma they experienced. She learns of a series of attacks against Konoha, and her investigation leads to an impossible conclusion: Sasuke is the terrorist mastermind behind them all! Using her skills and her heart, Sakura strives to clear Sasuke’s name and bring the real perpetrator to justice. Additional digital manga updates for May include new volumes for 12 continuing VIZ Media series. Notable digital debuts include not-to-be-missed volumes for BLUE EXORCIST (Vol. 15), MY HERO ACADEMIA (Vol. 4), NISEKOI (Vol. 15), ONE PIECE (Vol. 78), along with new VIZ Signature releases for TERRA FORMARS (Vol. 12) and ULTRAMAN (Vol. 4). New shojo manga additions include KIMI NO TODOKE (Vol. 24), and MAID SAMA 2-in-1 (Vol. 4). The free VIZ Manga App continues to be the top application for reading digital manga and features a massive library of the most popular series in the world. Through the innovative VIZ Manga digital platform registered users are able to use one account to view their purchased manga across more devices than ever. New series and volumes are added every Tuesday. Fans can also find these titles and more for the NOOK, Kindle Fire, and Kobo eReaders, as well as in the ComiXology, iBooks and Google Play Stores. Most manga volumes are available for purchase and download in the U.S. and Canada within the VIZ Manga application starting from only $4.99 (U.S. / CAN) each. Readers can also explore free Chapter 1 previews of every series. For more information, please visit VIZManga.com or www.VIZ.com/apps.